Jalen should have went to ULL. He is terrible. Celebrating a spring game TD sounds like he didn't belong at Alabama. Can he do Saban's evil daughter now? Would luv to see OK vs gumps in a bowl game........JH makes gumps look like fools and wins big.......KARMA! Karma for what? What did Alabama do to him? Why didn’t LSU get Jalen? Or Kyler? It wouldn’t have mattered. Our QBs are terrible because of the scheme. Go Jalen, but learn when to keep your mouth shut better, you'll regret it later in my experience. You’re not the boss of him. . . Guess I'll be rooting for Jalen. My daughter starts at Oklahoma in the fall, so planning now how to tailgate up there. Win titles or act like a dumbass? Oklahoma has been doing the latter for almost 20 years. You can’t help but to root for this guy. He should have went to LSU out of high school. FIFY b/c you study-a-no-english. "He should have gone to LSU out of high school." 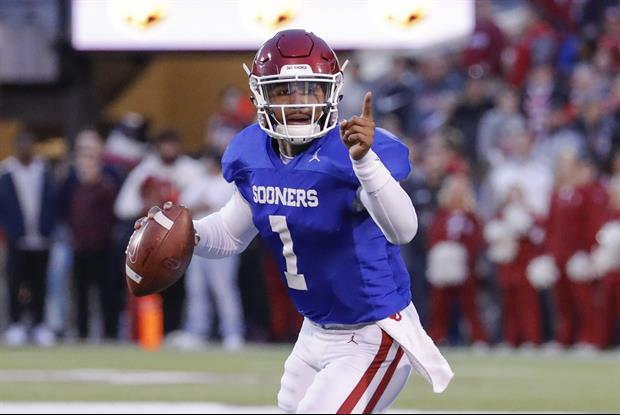 I hope Oklahoma with Jalen starting at QB wins the Big 12 and beats the hell out of Texas. Get Some Jalen. Who else would have a conference championship ring from two different Div 1 major conferences?